Young boys and men in concert. Chelsea Music Festival New York, US Concert Journey 2014. Applause after the concert. Conductor Michael Čulo. Together with the Sirius Quartet New York. Our promo motive for the benefit concert “KinderStimmen immer” to support the youth foundation collegium iuvenum. In the atrium of our rehearsal building “Domsingschule”. The ecumenical boys’ choir collegium iuvenum Stuttgart was founded in 1989. The policy of the chorus is not only from a pure musical perspective, but also sees its work as an extracurricular youth education and social-political mission. The aim of the musical work is to build on the over 1.000-year old tradition of famous boys' choirs and pass on the centuries-old culture of sacred choral music. The musical repertoire includes sacred choral music from the Renaissance to the modern (contemporary). The boys’ choir collegium iuvenum Stuttgart is organized as a choir school. However, the choir is not a boarding school choir; it supports systematic youth development, starting from preschool. Currently about 190 singers are members of the choir. The boys begin at the age of five years with early musical education. The boys’ choir is divided into different age groups up to the concert choir (10 to 12 years old). After the break of voice, many return to join the men's choir remaining as an active singer until the age of about 25 years. The ecumenical boys' choir collegium iuvenum Stuttgart is institutionally and confessionally independent. The activities of the choir are supported by the non-profit organization Förderverein collegium iuvenum Stuttgart e.V., which is an officially accredited supporting organization for youth welfare and extracurricular supervision. The current membership of more than 700 persons cover through contributions and donations a part of the expenses for vocal training, concerts, traveling, rehearsals and office premises. The boys’ choir collegium iuvenum Stuttgart takes pride in having achieved a high musical and artistic standard on a European level, thanks to the extraordinary commitment of many active and former choir members, parents and friends as well as the support of the state capital Stuttgart, and the state of Baden-Württemberg. Concert tours have taken the young singers among others to France, Spain, Finland, Austria, Switzerland, Canada, USA and Poland. Michael Čulo was born in 1980 in Bietigheim-Bissingen, Germany. He studied church music (B and A diploma) at the Universities of Church Music in Rottenburg and Tübingen with his major subjects including conducting, organ, improvisation, singing, theory and composition. During his studies he participated in numerous master classes. He won prizes in organ, conducting and composition competitions and has written many commissioned works. From 2004-07 Michael Čulo was Assistant Master of Music at Rottenburg Cathedral, 2007-09 Assistant Master of Music and Assistant Organist at the Collegiate Church of Stuttgart and at the Department of Music of the Evangelical-Lutheran Church in Wurttemberg. 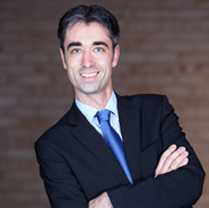 Since 2009 he is regional cantor in Nürtingen and the surrounding area. In 2010 he was Music Director of the Lutheran World Federation Eleventh Assembly and in 2010 he was appointed Associate Conductor with the Stuttgart´s Boys Choir “Collegium Iuvenum”. Since July 2013 he is the follower of Friedemann Keck as the official Conductor of the Boyschoir.